Speaking of Yuki Kajiura, she is reportedly on board for the Tsubasa Chronicle anime, which is damn good news even if the series is regrettably not retaining the same voice actors from Cardcaptor Sakura. I guess it's just as well. 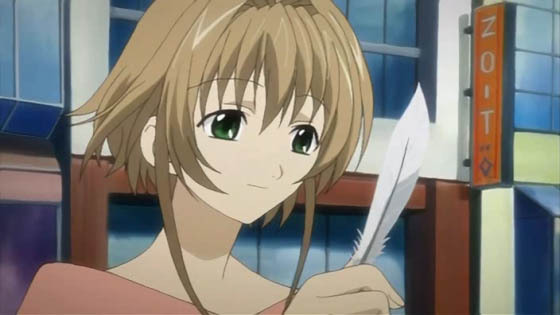 Tsubasa Chronicle doesn't have a prayer at being as good as Cardcaptor Sakura, so by lowering viewers' expectations from the outset, perhaps it will be better received. And look, Bee Train! Oh wait, that could really go either way. 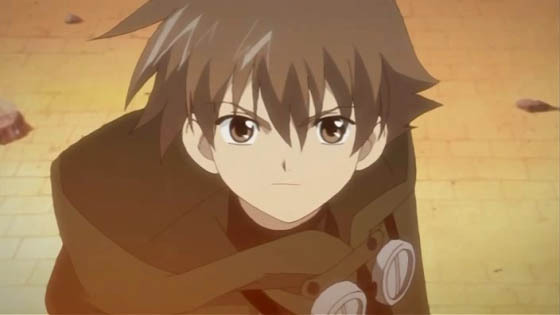 I'm a sucker for alternate universe stories, but I have mixed feelings about the new Tsubasa Reservoir Chronicle anime, based on CLAMP's fantasy manga starring characters based on older versions of its Cardcaptor Sakura characters, and similarly revised versions of characters from some of its other series as well. On the one hand, the animation is pretty as all Hell, and HDTV raws are available, and I hear the story itself is entertaining, at least in manga form. On the other hand, no one from the voice cast of Cardcaptor Sakura returns. The different voices are really jarring—at least as much as the visuals in To Heart ~Remember My Memories~. I do still enjoy To Heart: Type R, and I'll probably keep watching Tsubasa Chronicle, but it does have a very tough act to follow. I love the music in Tsubasa Chronicle, thanks to the fine work of Yuki Kajiura, but I don't like the different voices. Touya's voice is the least objectionable, followed by Tomoyo's (Maaya Sakamoto does an acceptable older Tomoyo in addition to singing the ED), but Yukito's voice is completely different. Also, I swear original Cardcaptor Sakura 10-year-old Shaoran has a deeper voice than the older Tsubasa Chronicle Shaoran. 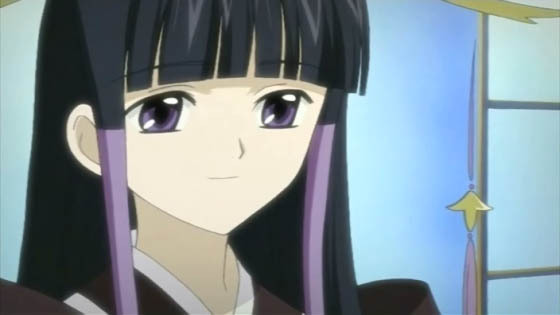 Tomoyo. PRINCESS Tomoyo, that is. Oh yeah, in keeping with what I understand to be CLAMP's new character designs, everyone looks extremely tall and skinny—way beyond "willowy" and all the way to freakisly elongated—but I'm okay with that. The plot? 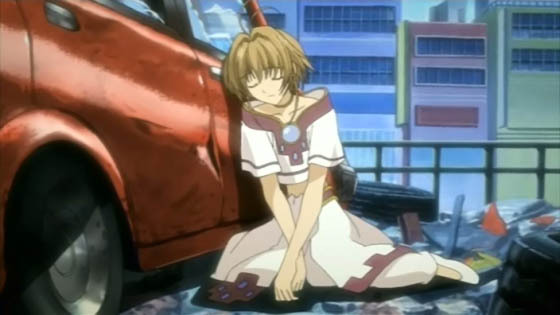 Sakura's in trouble and Shaoran is trying to save her. And there's universe hopping involved, which some people have compared to Sliders. Overall, it's interesting enough, but not especially compelling. I think it's still too early to decide the show's merits, but it's an interesting idea at least; we'll just have to wait and see about the execution.